Rit Capital Partners has a current portfolio of $181 million, according to its recent SEC 13F filing, with Jacob Rothschild as its manager. The fund has it primary focus in technology, conglomerates, and service industry. QUALCOMM, Inc. (NASDAQ:QCOM), United Technologies Corporation (NYSE:UTX), McGraw Hill Financial Inc (NYSE:MHFI) are the top three investments of Rit Capital Partners. (You can see complete list of Rit Capital Partners holdings here). 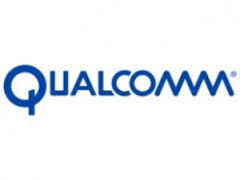 QUALCOMM, Inc. (NASDAQ:QCOM) is the top investment of Rit Capital Partners with 596,000 shares and investment of $47 million or 26.03% of the fund’s existing portfolio. QUALCOMM, Inc. (NASDAQ:QCOM) had an excellent third quarter fiscal 2014 with revenues of $6.8 billion and GAAP earnings per share of $1.31. Fisher Asset Management is the top investor in QUALCOMM, Inc. (NASDAQ:QCOM) with its investments amounting to $735 million followed by Generation Investment Management ($601 million) and Spo Advisory Corp ($504 million). United Technologies Corporation (NYSE:UTX) comes at number two in terms of largest investments in Rit Capital Partners’ portfolio with 318,700 shares worth $36 million. United Technologies Corporation (NYSE:UTX) reported net sales of $17.2 billion for the second quarter 2014 with earnings per share of $1.84. Fisher Asset Management is again the highest investor in United Technologies Corporation (NYSE:UTX) with investments worth $955 million. Diamond Hill Capital ($349 million) and Adage Capital Management ($122 million) are the other two primary investors in United Technologies Corporation (NYSE:UTX). McGraw Hill Financial Inc (NYSE:MHFI) comes at number three in Rit Capital Partners’ portfolio with investments worth $36 million and 435,000 shares. McGraw Hill Financial Inc (NYSE:MHFI) announced revenue of $1.35 billion in the second quarter 2014 with net income of $292 million. Some of the primary investors of McGraw Hill Financial Inc (NYSE:MHFI) include Lone Pine Capital $1.03 billion, Highfields Capital Management ($722 million), and Egerton Capital Limited ($343 million).